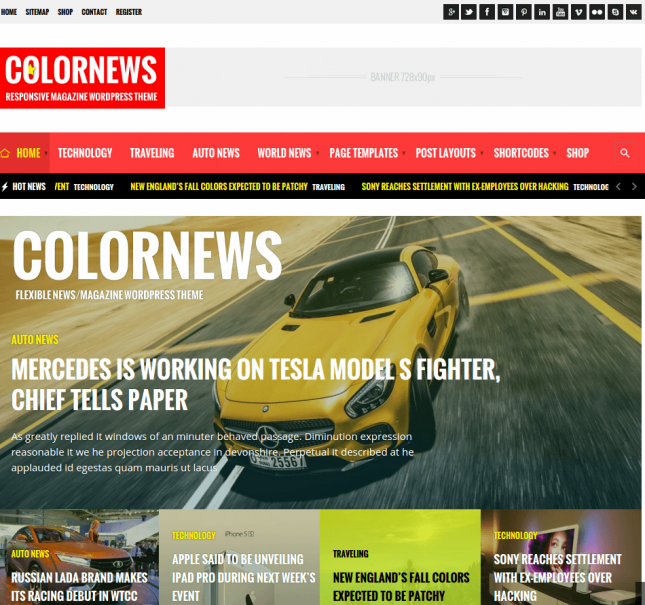 ColorNews- Magazine and Blogging WordPress theme. 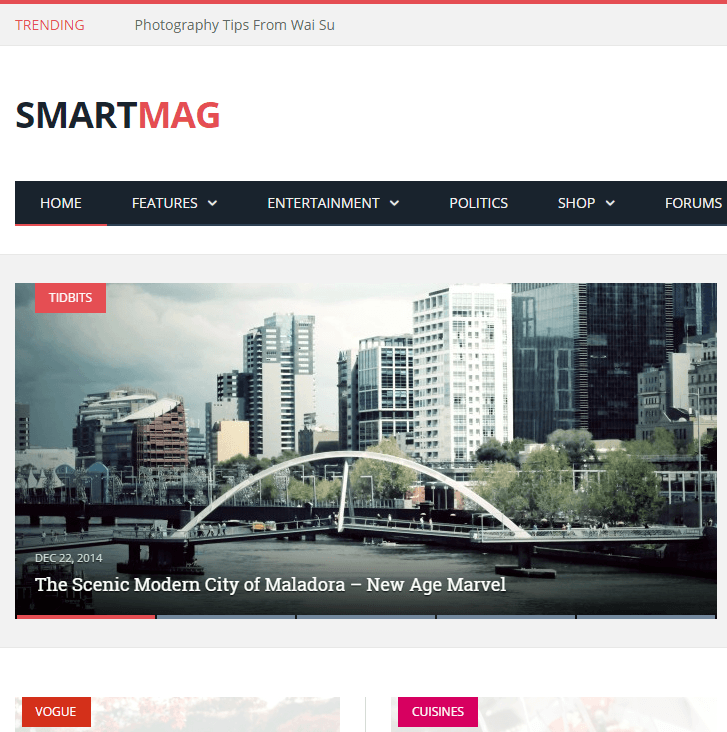 This theme is basically developed for the blogging, News and Magazine websites which is daily updated and daily gives details of offers to customers. This theme is fully responsive with any device and adapts any screen resolution. This theme is compatible with Megamenu, BuddyPress, bbPress, WooCommerce plugins and supports custom sidebars. The BuddyPress and bbpress plugins are used for the community support or forum and social networking for your products and services. This theme comes packed with unlimited colors, 12 page templates and 4 post Format: post, image, video, audio. This theme has multiple custom widgets like: Banners, Popular post, recent post, Recent category posts–full width variant, for menu and Video widgets. This theme has a theme option panel, which is important for customization of the theme template like: logo, favicon, color and background of the theme etc. This theme is fully compatible with the WPML plugin for translation and converts itself from one language to another language by including only .po and .mo file in the theme. This theme is SEO optimized which is useful for search engine ranking.